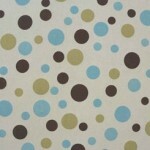 Sure, it’s easier to buy store-bought piping, but how often do you have trouble finding piping that matches just right? 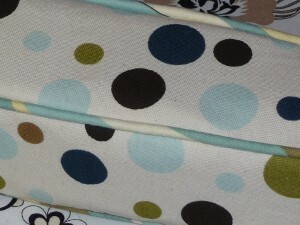 Plus, homemade piping made out of the fabric you’re using adds extra pizazz and looks professional. It takes a little more time, but it’s worth it. 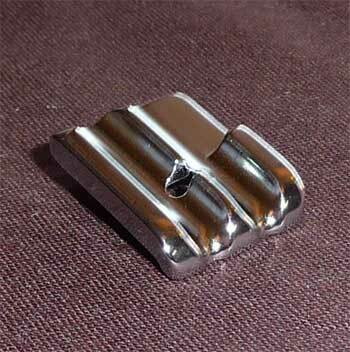 A piping foot has a small ridge for the cording to nestle into. Here is a bottom view. 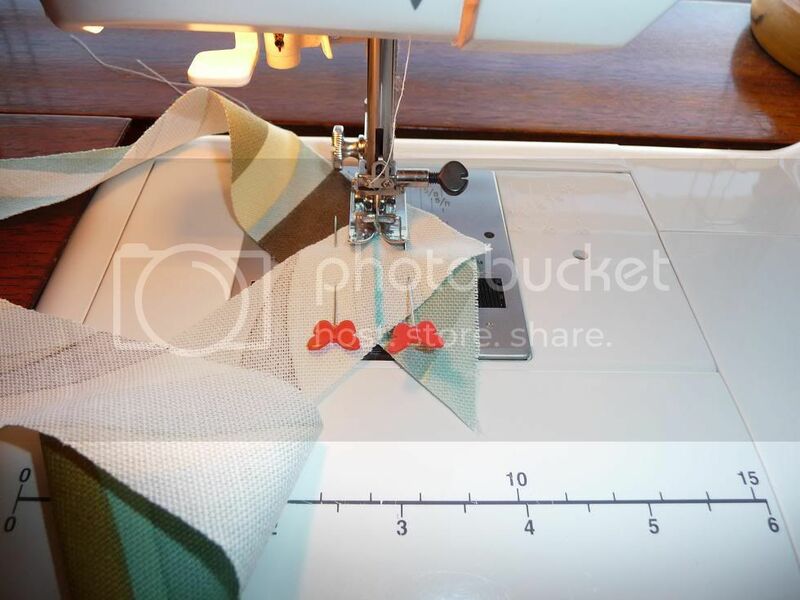 In this tutorial, I am using quilting supplies (rotary cutter, mat and 6×18 ruler) to cut my fabric easily. 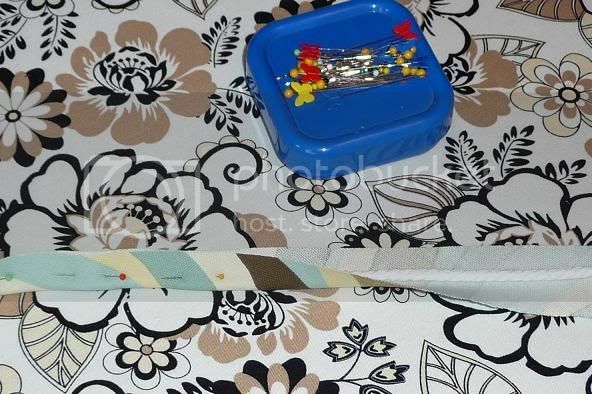 If you don’t have those supplies, you can do this with scissors, a yardstick or ruler and a fabric marker. I’ll briefly explain that below. 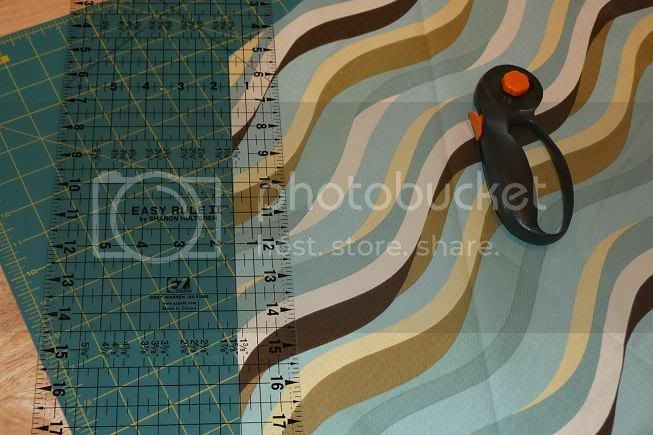 When you make your piping, cut the fabric on the bias. 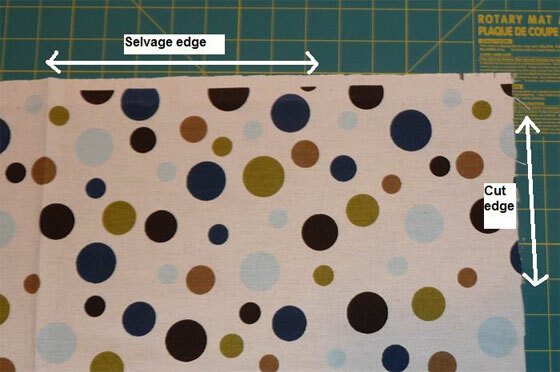 That means that the fabric is being cut at a 45 degree angle to the selvage (“finished” edge of the fabric) and cut edges of the fabric. 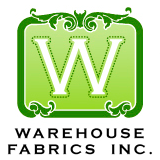 When cut on the bias, fabric has more drape. How do you find the bias? 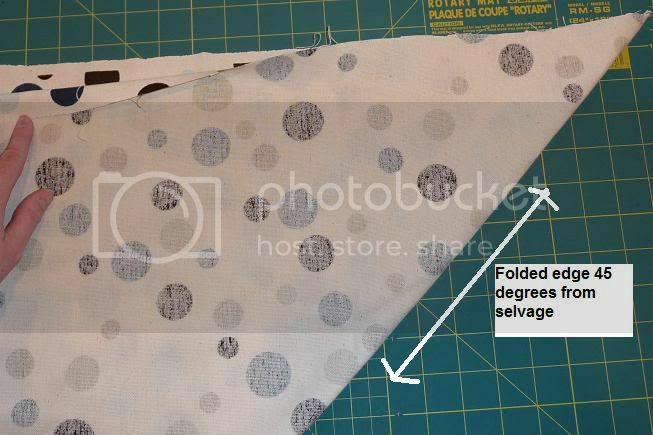 It’s as simple as folding your cut edge of the fabric to your selvage edge. Crease the fold with your iron. Now open it back up. Yeah, I have switched fabrics on you. Just keepin’ you on your toes. 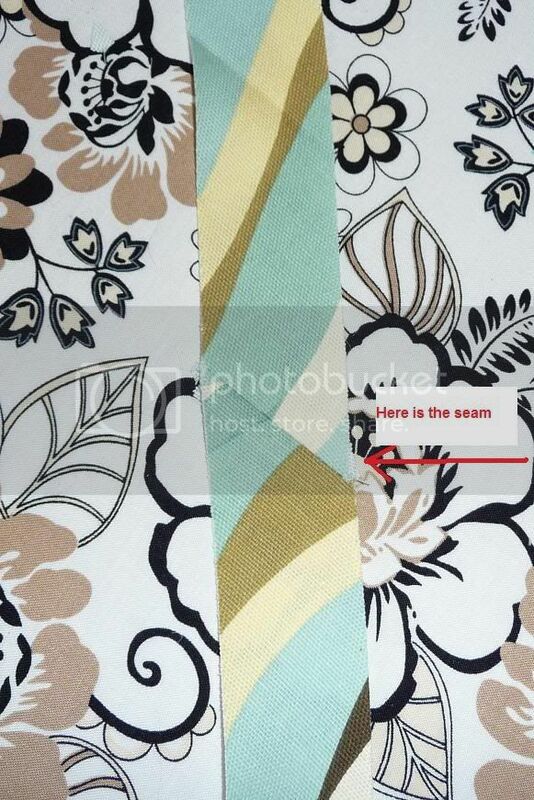 The arrow depicts the 45 degree pressed crease. What I did here was line up my ruler with this crease and lop off the little piece to the right. 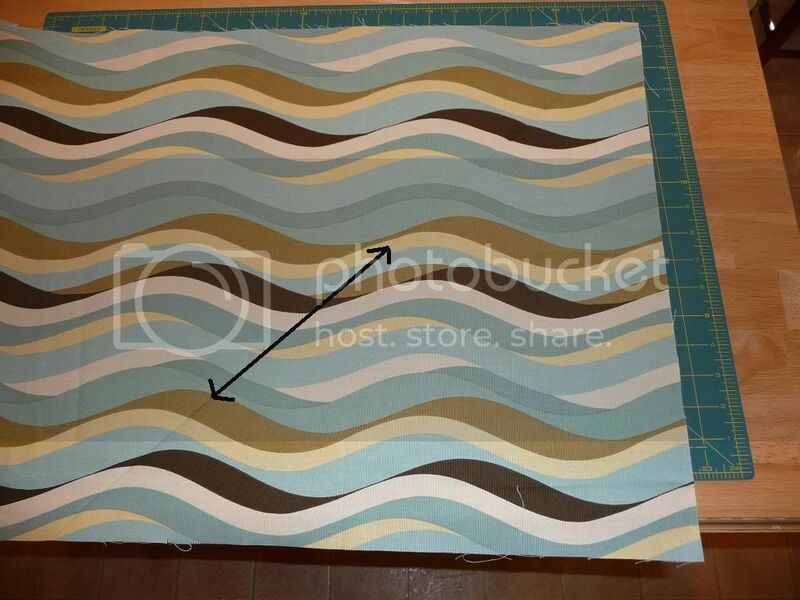 Now that I have a clean edge, I’m going to turn my fabric so that the side I’m cutting on is to my left. 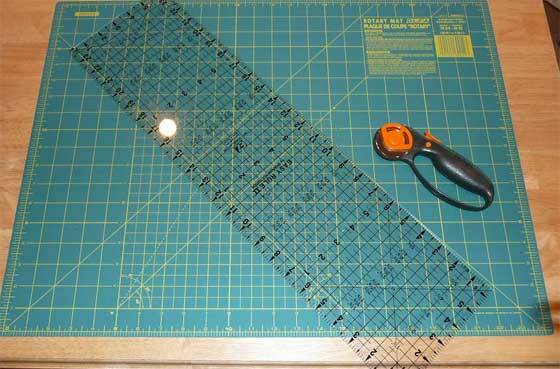 I line up my ruler at 1.5″ from the cut edge and slice a strip. Repeat until you have a pile of strips. 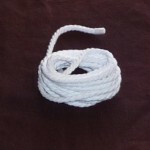 How many depends on how much piping you are making. 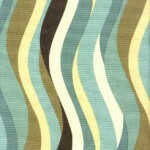 Now, we want to attach these strips into one long piece. 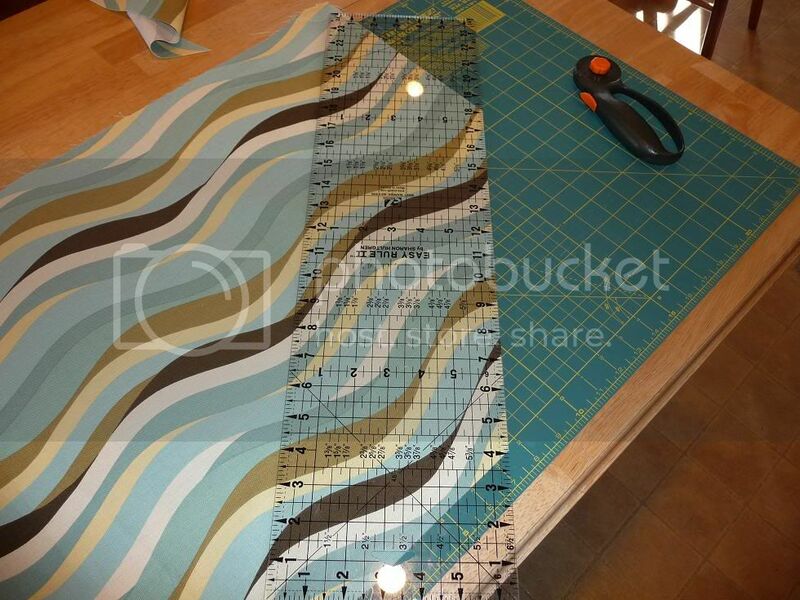 This is similar (or exactly, really) to making binding for quilts. The way I do it is I fold one end of a strip over into a 90 degree angle and press. I have drawn with fabric marker on the crease for visibility. 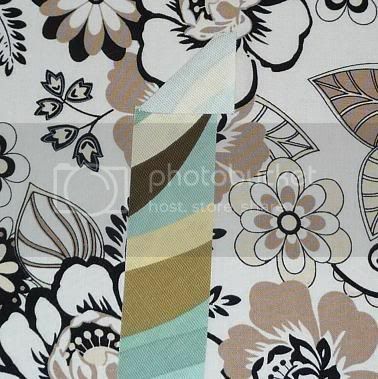 I line up this strip with a second strip at 90 degrees, with the pressed line like so. 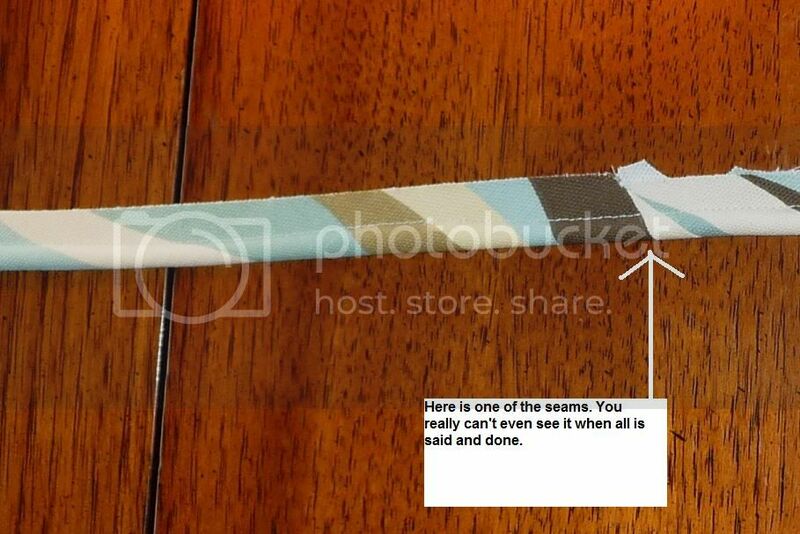 Trim off the corners and press the seam open. 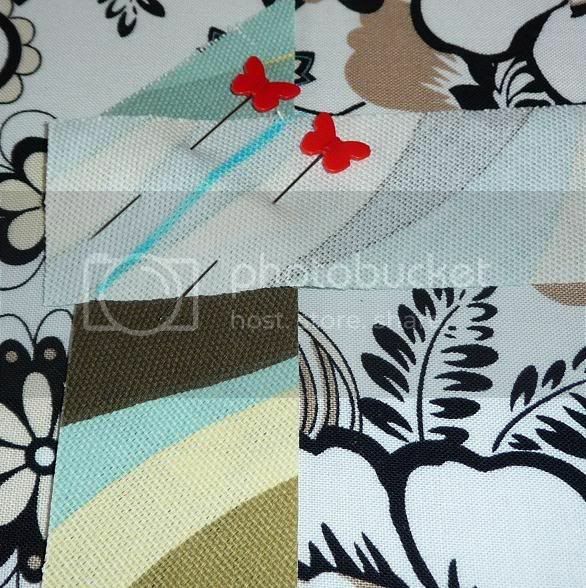 Continue adding other strips in the same manner until you have one long one. Again, how many you attach depends on how much piping you’re making. 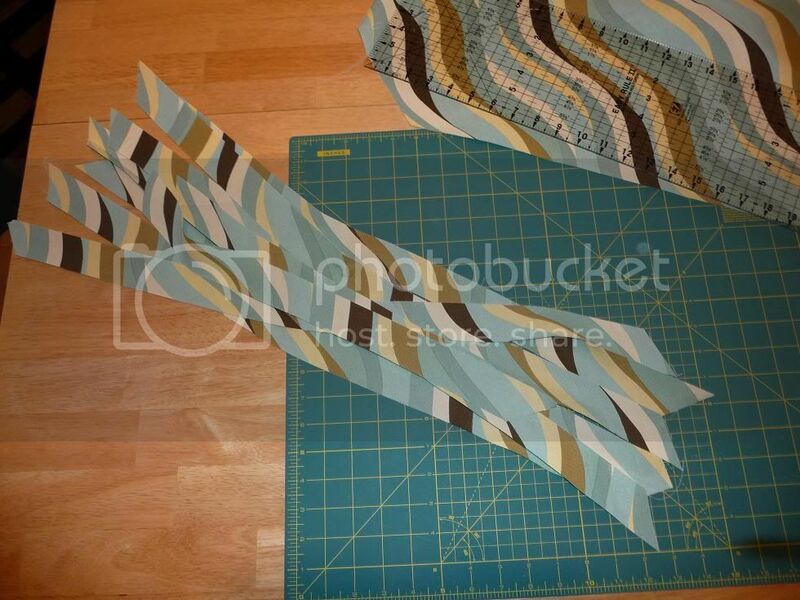 With wrong side up, lay the cording in the center of the strip and start folding it over and pinning. 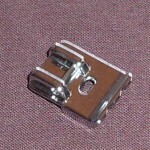 I actually found that once I got it going, it was easier not to pin all the way down. I just folded it as I fed it through the machine. 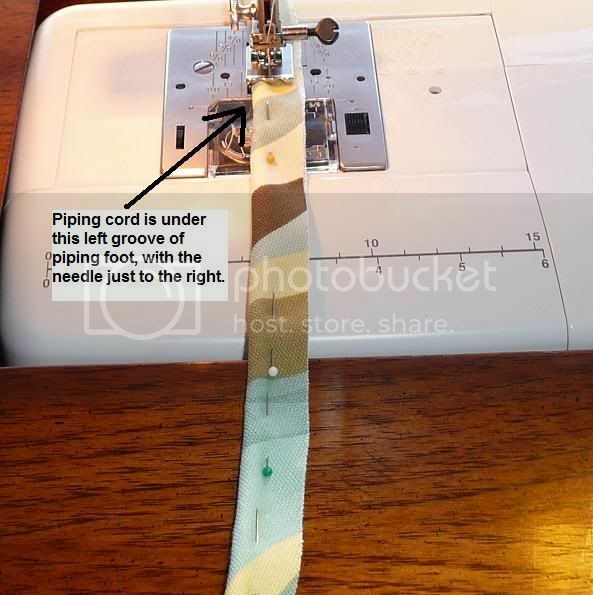 Using your cording foot, or zipper foot if you don’t have one, stitch close to the cording. That’s it! And now you can hardly even detect those joins. Once this piping is sewn into a project, you won’t see the joins at all.